Why Are There No Medals for Teachers? In the wake of Sandy Hook, the nation was confronted with the long overdue question of gun safety and individual liberty. But there is another long overdue question. Why are there no medals for teachers? Historically, there are three careers that award medals for valor: firefighters, law enforcement, and the military. Anyone who signs up for one of these three understands that personal risk and death are potential realities. Now teachers have joined these ranks. In addition to the numerous massacres that have occurred during the last few decades in U.S. schools and universities, there are countless instances of foiled attempts. 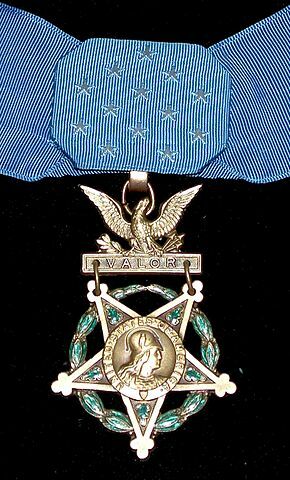 In each case, the teachers, administrators, coaches and custodians have shown bravery nothing short of heroism -- bravery that, in other circumstances, would be remembered with national fanfare; bravery that, in another career, would receive a White House commendation; bravery that, in an occupation that expects it, would be honored with a medal. A few months ago the airwaves were filled with yet another tale of the extraordinary courage shown by Antoinette Tuff, a Georgia elementary school staffer at Ronald E. McNair Discovery Learning Academy. But apparently there is nothing "extra-ordinary" about such acts of bravery. Each terrifying incident shows us that courage in the face of certain death is quite ordinary for our nation's educational staff. Courage to die for someone else's kin. Courage to die for people -- I will admit, as a college professor -- whose names you may not even know. Courage to die, even though that was never part of the job description. Courage to die, even though we aren't trained for this, even though it shouldn't be expected of us, even though it shouldn't be expected of anyone save those individuals who actually sign up for such things. Courage to die "in the line of duty," even though this isn't supposed to be part of our "duty." Is it a teacher's duty to be willing to die for her students? I think it already is. Indeed, it is so much a part of a teacher's duty at this point that we expect it. Every time we hear about a school shooting, we expect to hear of the valor of the employees. We expect to hear how they overcame intolerable fear in order to protect somebody else's kids without a moment's thought for themselves. We expect to hear stories like that of William David Sanders of Columbine, Liviu Librescu of Virginia Tech, Vicki Soto of Sandy Hook, and now Antoinette Tuff of McNair. These acts of bravery are not uncommon, but often unsung. We don't hear the stories of the false alarms. For example, a friend who teaches middle school tells me that he has had a gunman roaming his halls twice in the last few years. Both times, he turned off the lights, blocked the door as best he could, and stood in the darkness in front of his students, whom he huddled into a corner and begged to remain quiet. We don't hear those stories because, thankfully, they ended without bloodshed. But we expect nothing less -- and yet there still is no explicit recognition. There still are no medals. Concerning Sandy Hook, the POTUS and Congress seem to agree: the six teachers and staffers who died posthumously received both the Citizen Honors Medal (the highest civilian award offered by Congress) and the Presidential Citizens Medal (the second-highest civilian honor awarded by the POTUS). But this recognition merely begs the question that there should be medals for teachers. I would like to bring acute attention to something that we all already implicitly recognize, in order to ask -- emphatically -- why this recognition has remained implicit. After each incident the national dialogue suddenly is obsessed with the names and deeds of those no one knew a few weeks ago, and who will be forgotten as quickly as they were learned in a type of nation-wide traumatic repression. We all remember the heroism, if not the names, until the next inevitable-yet-somehow-still-surprising images of crying students and police barricades fill our television screens. Nothing changes -- including the fact that we know this will happen again. As long as we have such easy access to guns in this country, then teachers and staffers will be required to defend our schools and our children, and we will hear these same stories again. But as long as we know this, as long as we have created an occupation which we know potentially carries with it the threat of violent death unlike any other civilian occupation in the country, I would like to ask again: why are there no medals for teachers?